Summer cookouts are just the beginning. 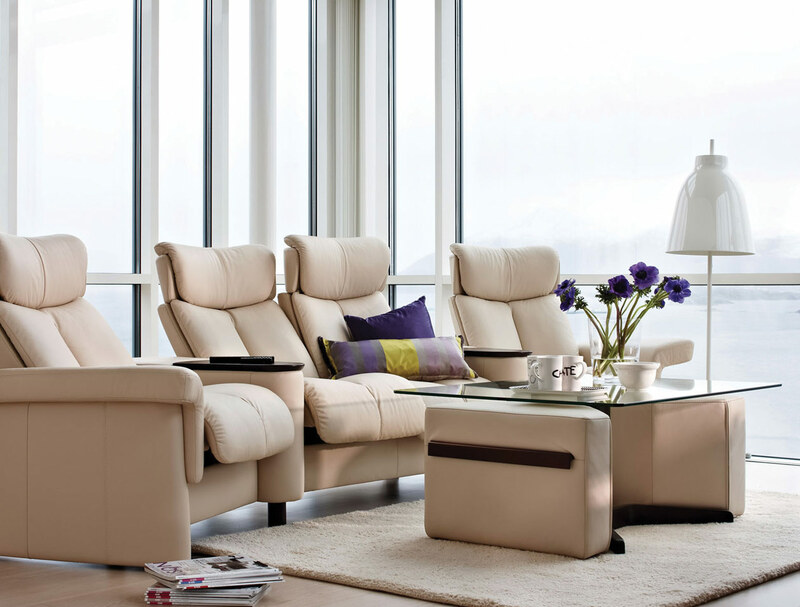 Entertain friends and family year-round by equipping your home with the best in dining, bar and cinema furnishings. to create a conversation zone. Modular seating sets offer amazing comfort and flexibility. 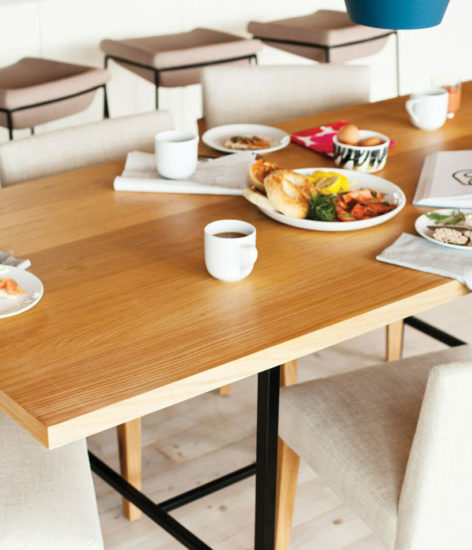 They’re ideal for rooms dedicated to togetherness and conversation, and can be reconfigured whenever the occasion calls for it. A large modular set does away with the awkwardness of trying to position a traditional sofa and chairs into a configuration that works for everybody in the room. Whether you use it every day or reserve it for guests, a formal dining room sets a special tone for meals. What better way to showcase your style and enhance the dining experience than to host in a spectacular room? And formal need not mean conservative or stuffy. 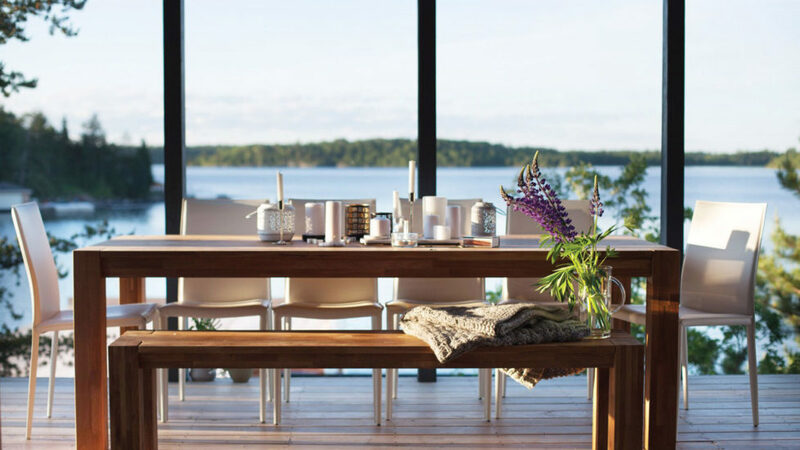 Start with a table that makes you want to permanently retire the tablecloth; think quality materials, sculptural legs and gorgeous finishes. While matching chairs are a good look, they’re not the only game in town; mix and match chairs that are different shapes but the same color — or vice versa — to create an impression that’s unconventional but still sophisticated. Hang a dramatic light fitting directly above the table to complete your modern formal dining room. from breakfast to late night drinks. Invite your guests to settle in awhile with a row of stylish barstools. Designers often pour a great deal of creativity into barstools, and they offer a fabulous opportunity to run wild with color and style. Pair them with a high kitchen counter for a flexible solution where the kids can have breakfast in the morning and the adults can share a drink at night. A well-appointed high counter or breakfast bar can also make cooking more social; rather than abandoning your guests while you prepare dinner, invite them to join you over appetizers and a glass of wine while you work! Don’t have the space for a high counter or bar table? Consider a bar cart. They look spectacular when parked in a corner of the dining or living room, and allow you to move your entire collection of bartending gear, glasses and bottles to wherever your guests are. You’ll always be ready to take the party poolside, serve after dinner cocktails, or let visitors try their hands at mixology. 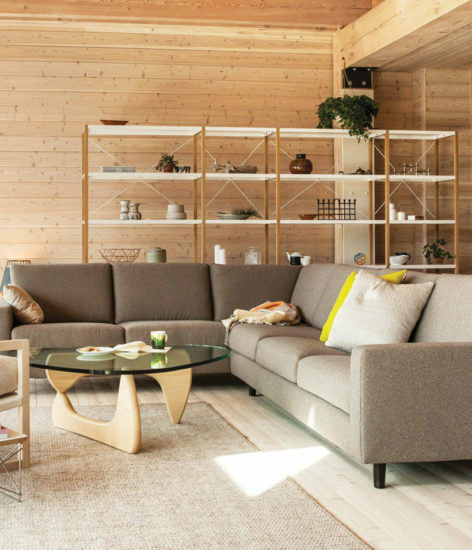 Roomy, adaptable sectional seating encourages guests to linger. There are movie nights, and then there are nights at the movies. Why settle for anything less than a real cinema experience at home? Equip your media room with a row or two of theater style chairs, in fabric or leather upholstery, for the ultimate in viewing comfort. 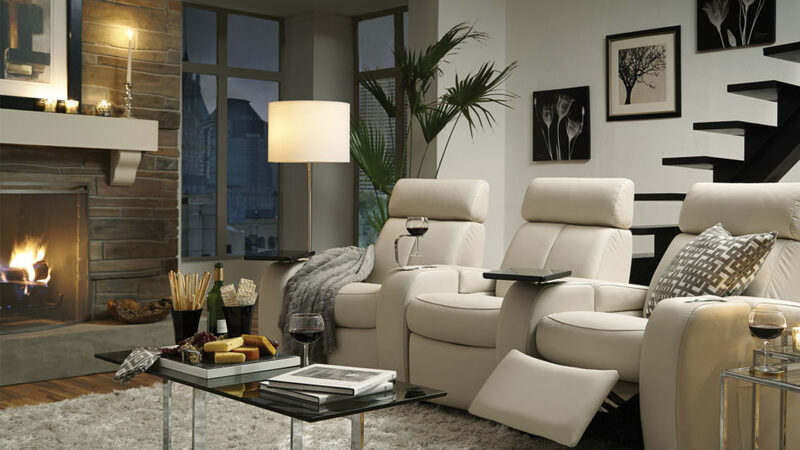 With cupholders, in-arm controls and even built-in charging docks, modern home theater recliners are shamelessly luxurious. As for the screen itself, move past the utilitarian TV stand and frame your flatscreen within a home media console or wall unit. Both will raise your TV to an optimal viewing level while hiding away speakers, components, and gaming controls. The best units also offer cord control to keep wires untangled and out of sight. Finally, a well-designed console or wall unit reinforces that the screen is the focal point of the room, which in turn changes how visitors experience the space. media to its best advantage. With furniture and accessories that are a joy to use, it’s easy to punctuate your home with spaces dedicated to pure enjoyment. Ask your interior designer for advice on furniture made for entertaining, and prepare to open your home to friends like never before.